When American commentators like Carl Bernstein complain that Muslim authorities have not sufficiently denounced the terrorist attack on the Charlie Hebdo staff in Paris, they show a profound ignorance of the current situation in the Middle East. Egypt has gone too far in this direction, criminalizing the activist members of the Muslim Brotherhood. But it is also committing troops to fight extremists in Sinai. Egyptian acquaintances of mine in Cairo say that it has become unpleasant to wear a beard there (for long a sign of religious commitment). Egypt’s president Abdel Fattah al-Sisi spoke to an audience of clerics at the Department of Religious Endowments a few days ago. He made waves by denouncing terrorism among Muslims, and said it wasn’t right for the rest of the world to be afraid of 1.5 billion Muslims. He pointedly insisted that the al-Azhar clerics do something about this stain on the honor of Islam, implying that they were not effectively combating extremist ideas. He called for a new sort of “religious discourse” and a “new revolution” to combat extremism. Sisi has put thousands of Muslim fundamentalists in prison, most of them certainly not terrorists. He has gone too far in attempting to curb political Islam. But he cannot be accused of being soft on Muslim extremism or terrorism, for heaven’s sake. The Egyptian Foreign Minister roundly denounced the assault on the magazine staff. 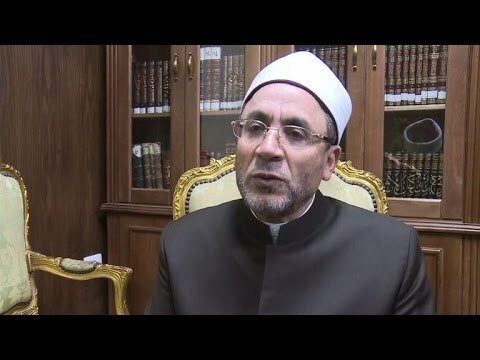 Al-Azhar Seminary, the chief religious authority in the Sunni world, condemned forcefully the Paris attacks and expressed solidarity with the victims and their families, saying that such acts of violence are forbidden in Islam. In Pakistan, Prime Minister Nawaz Sharif has since last June committed himself to rooting out the Taliban Movement of Pakistan along with other extremist movements. He is having his air force actively bomb them and scatter them from their Waziristan base. In Iraq, the government is dedicated to defeating the al-Qaeda offshoot, Daesh (ISIS or ISIL) and hundreds of troops and tribesmen have already been killed in the process. The day of the attacks, Prime Minister Haydar al-Abadi expressed his solidarity with Paris. After all, what happened there is a common occurrence in Baghdad, which faces ongoing car bombings and sniping. Not only are most Muslim authorities in the Middle East denouncing the al-Qaeda massacres,, but they are engaged in active warfare against extremists and risking the soldiers lives, with hundreds or thousands killed. And those killed by the extremists in Paris included a Muslim policeman named Ahmad and a Muslim copy-editor, a man of broad learning. How many commemorations of the victims mention that they included Muslims?